Well, we take travel quite seriously, and we know the importance of Indian Railway plays in the traveler life. The railway is considered one of the most important and economic transports in India. It is crucial that you should update with the latest developments in the railways. Indian railways have introduced from time to time with various facilities for all passenger. The best thing about the railway they take the care of the elderly in a systematic manner. However, if I talk about Aadhaar has become one of the most important things to availing benefits on the booking and catering options. It will bring benefits for senior citizens, and you can bring the most delicious food while traveling. 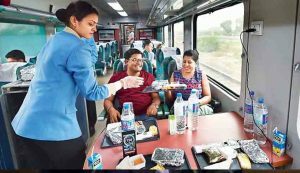 The Indian railways have launched catering optional in thirty-one different trains, including seven Rajdhanis, six Shatabdi and Durontos. 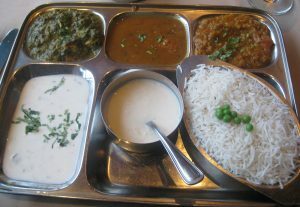 The passenger can buy delicious food and opt for the catering facility offered by the Indian Railways. You should order the food while booking their tickets, reports said. It would be reduced the cost of tickets on such trains by 250. If you are a traveler, then you should read the entire article and observe the benefits and how to use the catering services. According to the railways, you cannot change their option during the journey once they ordered the food. Want to know something interesting? 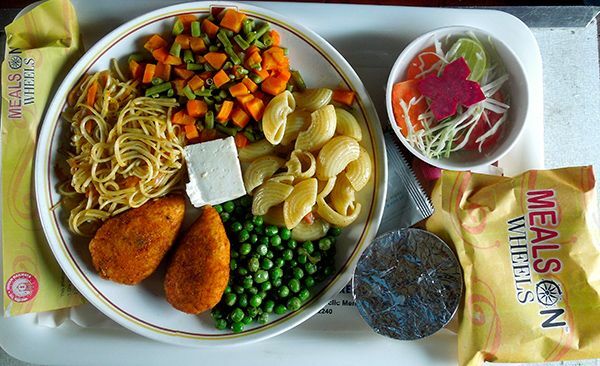 Catering charges vary from Rs 175 to 340Rs that will be deducted from your total fare if passenger orders the food from mandatory food options. All things depend on the journey time, and the catering charges are quite cheaper. If you are choosing the longer distance, then catering charges would be higher. The charges are also different from different classes as well. In the past railways has made the meal optional on the Mumbai August and Kranti Rajdhani express as well. Such scheme is available for the superfast Tejas express that is available from Mumbai to Goa. However, now Indian railways are offering e-catering services that are available for passengers. The best thing about such service a passenger can order food from a host of outlets such as Sagar Ratna, Saravana, and KFC as well. According to the railway commission, the catering services in all trains will be handed over to IRCTC by the end of the year. They want to improve the onboard food quality. If you booked the train ticket ever for Garib Rath class train for the Indian railways, then you have observed that bedroll charges at RS 25. You have to pay charges extra or in advance if you want a particular one. They will provide you a set on these super fast fully air-conditioned fully AC trains. Most of the cases they have plenty of bedrolls left unused, and then you can pay to onboard. Things have been completely changed hot fresh cooked food is also supplied onboard. You can order food as per your choice while traveling.